Watch The Big Bang Theory Season 4 Episode 24 online via TV Fanatic with over 6 options to watch the The Big Bang Theory S4E24 full episode. Affiliates with free and paid streaming include Amazon, iTunes, Vudu, YouTube Purchase, Google Play, and Verizon On Demand. 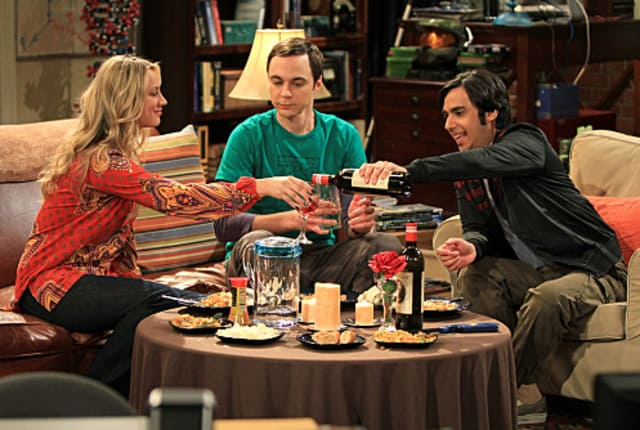 Raj moves in with Sheldon on the fourth season finale of The Big Bang Theory. This takes Penny by surprise. Penny: Hey, Sheldon, did you change your Wi-Fi password again? Sheldon: Yes, it's "Penny, get your own Wi-Fi." No spaces. Open the landing bay doors, shuttle craft approaching. Permalink: Open the landing bay doors, shuttle craft approaching.